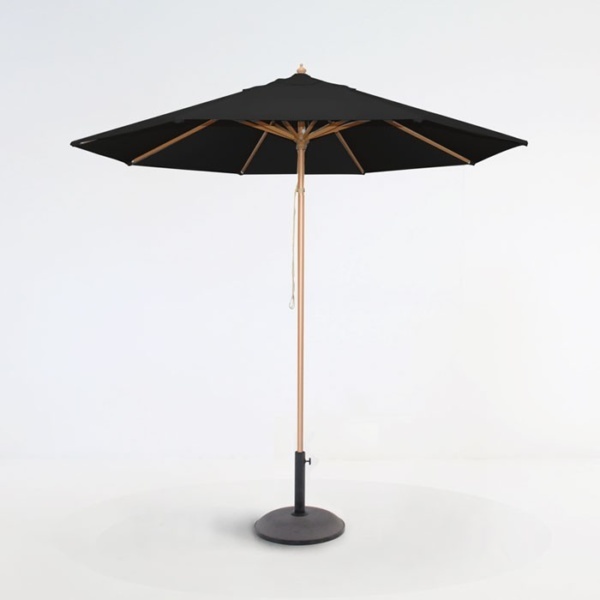 Available now at wholesale prices, these superb quality Sunbrella® patio umbrellas are yours to enjoy with black Sunbrella® fabric canopy, aluminum poles with a teak finish. 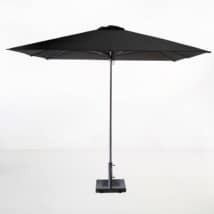 They also feature an easy pulley system. 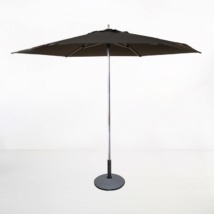 From ground to the top of the canopy, the overall height of the Black Sunbrella Umbrella is 109”, including the height of the base. 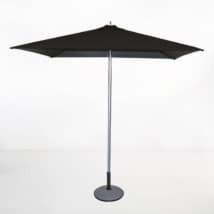 The umbrella base shown is available separately at additional cost. Please call if you have questions about choosing an outdoor umbrella base.